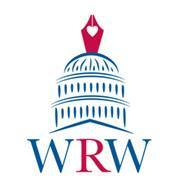 I was blessed to attend the amazing Washington Romance Writers Retreat during the first weekend in April. I’ll get back later for more comments (after taxes are complete :-)) but I wanted to provide the handouts to my workshops as promised. Here you go! Hope you enjoy. And feel free to ask me questions! I’ll try to answer as soon as possible. Do Our Memories Make Us Who We Are? Robin Perini - RITA® Nominated Author » #1 Memory Challenge – Sample Videos and Posts on #1 Memory Challenge – You Are Not Alone! Robin Perini - RITA® Nominated Author » #1 Memory Challenge – How to Upload a Video to FB from iPhone/IPad on #1 Memory Challenge – You Are Not Alone!